Fish Stocking | Aquatic Biologists, Inc. Whether you stock fish to improve water quality or for sport fishing, our biologists assist our clients to determine the size, number and species needed. Based on these recommendations, our field technicians transport the fish directly to your lake or pond utilizing fish trailers that maintain the correct dissolved oxygen ratios and temperature needed for each species to reduce the chances of overstressing fish during transport. It is important to know something about the preferred habitat of the fish you choose to raise in your pond. Species differ in their requirements for feeding, growing, reproducing and surviving. Oxygen or temperature requirements are just two examples. Other species than those described below may be available. Call 1-800-442-6648 for current availability and pricing. Due to the stress of catching and handling fish, Aquatic Biologists, Inc does not keep a ready supply of fish available for immediate pickup. All fish must be ordered in advance. We DO NOT allow picking up fish from our office, these are living creatures are are too sensitive to be handled in a cooler in the back of a truck. 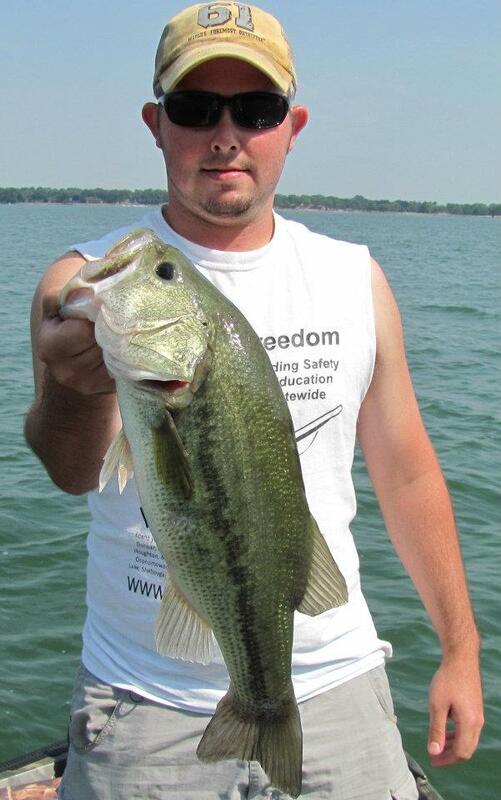 We use specifically designed fish hauling trailers to ensure your fish make it to the water alive. There is a $100.00 minimum order requirement. Fish availability varies throughout the year. Deposit may be required. Fathead Minnows are the most important fish in any management program. The Fathead Minnow is a plankton feeder, but it will also feed very actively on mosquito larva. 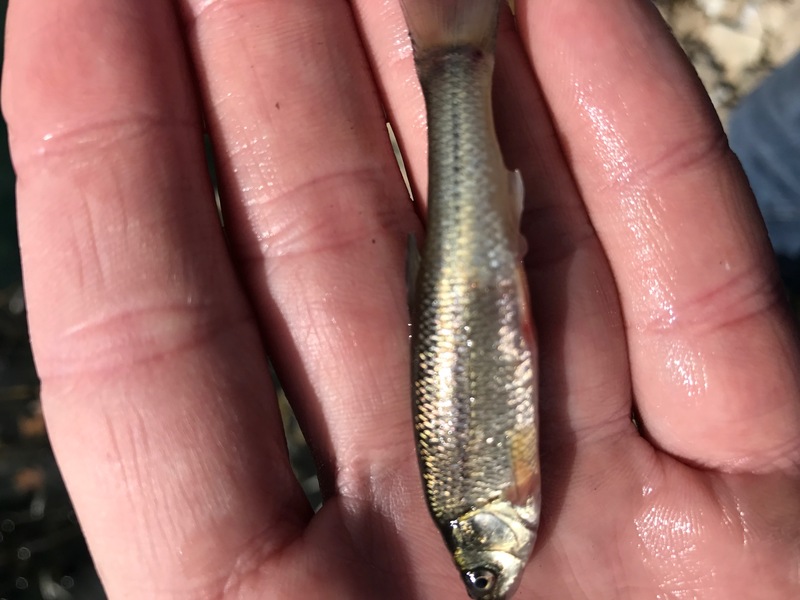 Minnows spawn 3-4 times a year from the spring until late summer on the underside of nearly any material near the shore. Reproduction can be improved by placing structure in 1 to 3 feet of water. We recommend stocking about 100 - 150 pounds per surface acre in most water bodies. This is our #1 selling fish species. Hybrid bluegills are a popular choice when the objective is to produce large bluegill or to provide fishing for children or impatient anglers. 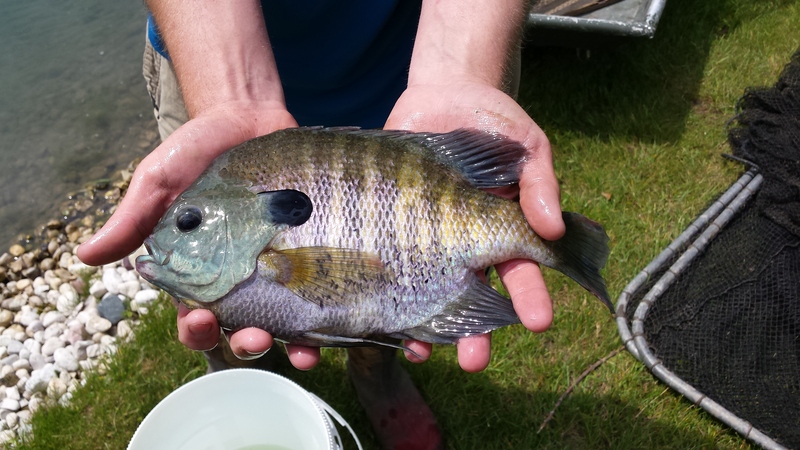 Hybrid Bluegills are a cross between a male Bluegill and a female Green Sunfish. Hybrid Bluegills are voracious feeder, depending mostly on insects, zooplankton and very small fish. The Hybrid Bluegill accepts commercial feeds readily, but unlike its parent species continues to feed during much colder water temperatures, resulting in faster growth. Because of this, the Hybrid Bluegill will attain a weight of 2 to 3 pounds at maturity. Generally, we recommend 500-1,000 Hybrid Bluegill per acre in ponds. One of the most sought after fish by anglers, the Largemouth Bass is very well suited for stocking in most ponds, provided adequate food and structure is available. Largemouth bass prefer quiet, clear waters with abundant vegetation and cover (Iguchi and Matsuura, 2004). More specifically, they prefer shallow water that is usually no deeper than 8 feet, but they sometimes occupy deeper regions. Fish, crayfish, frogs, and large insects make up their diet. Normal stocking rates are 25 Largemouth Bass per acre. This is a great fish to stock if you plan on ice fishing. One of the best fish to use when stocking your pond this fish produces an acrobatic show when hooked that is sure to entertain - they can easily leap into the air three or four times their body length. 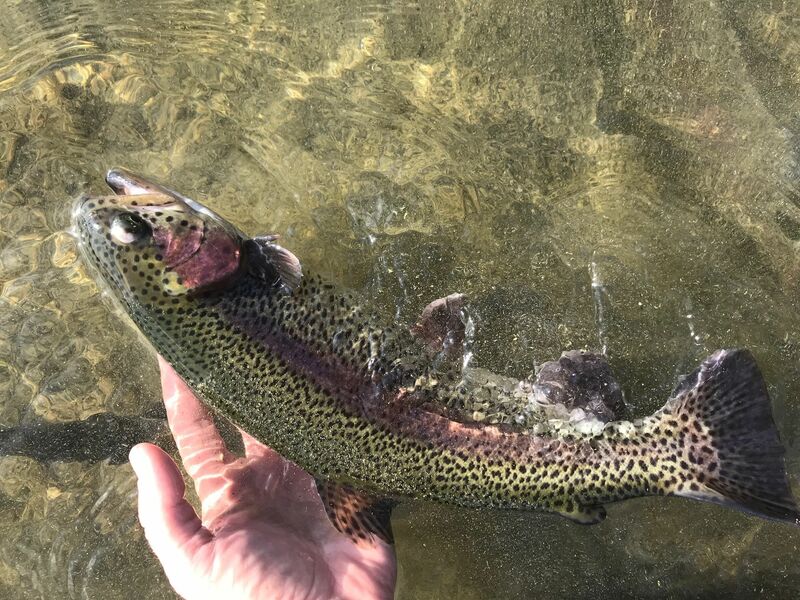 Rainbow Trout should only be stocked in ponds that are consistently below 70°F throughout the year. Sustained temperatures over 72°F will prove fatal. Rainbow Trout are strong feeders, so plan on stocking minnows or feeding 40% protein fish pellets if you do not have a large forage base. Rainbows can live in your pond for about 6 years. We recommend stocking about 100 per Surface Acre. Rates upwards of 2,000 Rainbows can be stocked under certain conditions. Ask our biologists how many your pond can support prior to stocking. Brook and Brown trout are also available! Trout are very susceptible to copper algaecide and herbicide treatments. This fish generally prefers large, deep, cool open water areas with rocky shoals and inlet streams. However, if conditions are right, a certain amount can be maintained in smaller lakes and ponds. Walleye are bottom dwellers during daytime hours, so lakes and ponds with stagnant summertime bottom water do not provide good habitat. In addition, they are among the first to die during low oxygen conditions, so pond owners considering stocking Walleye should think of installing an Aeration System (see aeration section). Stocking densities vary greatly. 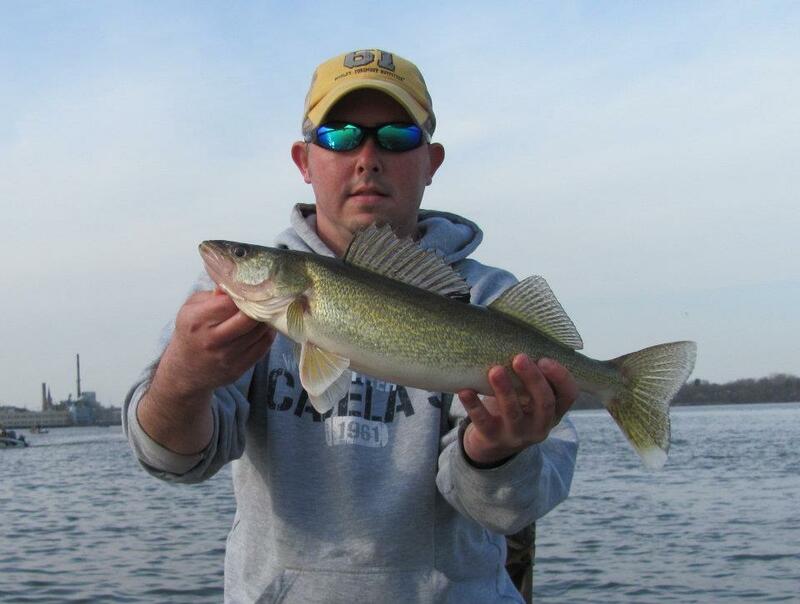 Unlike trout, walleyes will not eat artificial foods. There must be a good supply of natural food (plankton, insect larvae, crayfish or minnows, bass, perch, and to a certain extent bluegills, so a strong forage base is necessary. If a customer wants to thin their bluegill population, we usually recommend walleye. Generally, we recommend stocking about 20 - 25 per Surface Acre. The Black Crappie option is the most complicated of pond stocking combinations in small ponds due to their ability to reproduce rapidly and overpopulate. Successful crappie ponds are greater than 5 acres with abundant habitat (brush piles) and numerous small (less than 1 pound) largemouth bass. 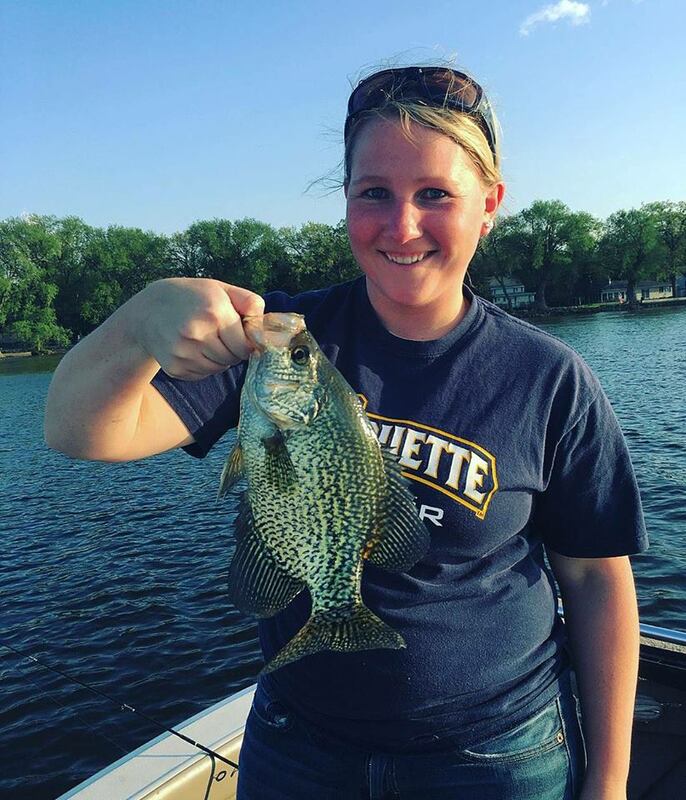 Many people have had success with Black Crappie, mainly because no spawning occurred. Small crappie eat a variety of food, such as zooplankton, insect larvae, snails, and leech, but adult Black Crappie feed mainly on small fish. If you would like to stock Black Crappie, we recommend about 100-200 per Surface Acre. In order to successfully stock this species the pond must already have a strong predator fishery. This predator fishery must be maintained. Some say the yellow perch is the best eating of all fresh water fish, but unfortunately its pond reputation does not match this. Being a very prolific fish with few spawning substrate requirements, perch can cause serious stunting problems in nearly any lake or pond. 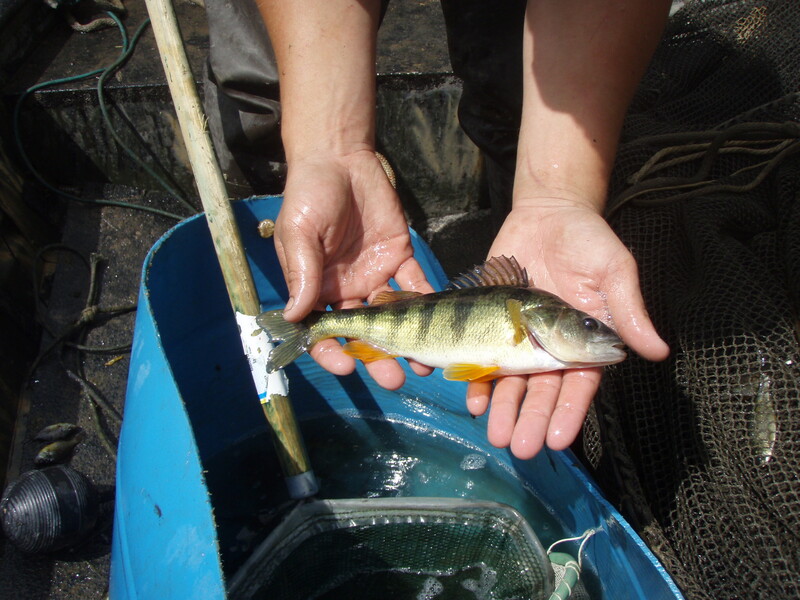 Yellow perch provide good forage for most predator fish, especially walleye. Yellow Perch consume a wide variety of food items, but fish do not become a major component of their diet until after reaching 7" in size. 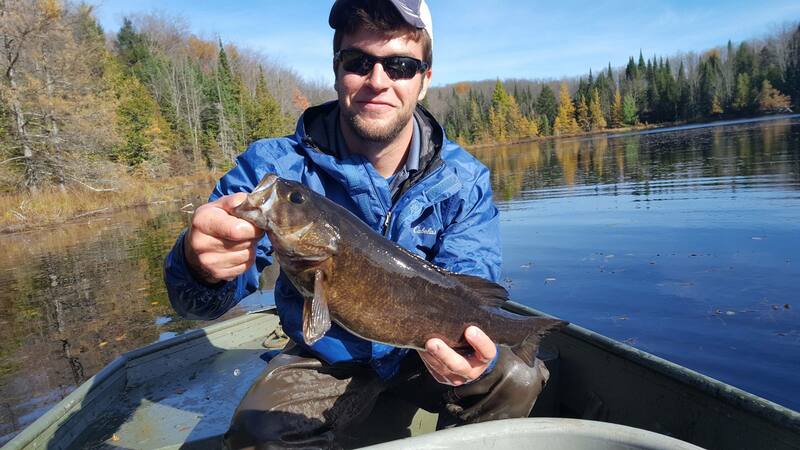 We recommend stocking 300-500 per surface acre in ponds with walleye as the primary game fish. 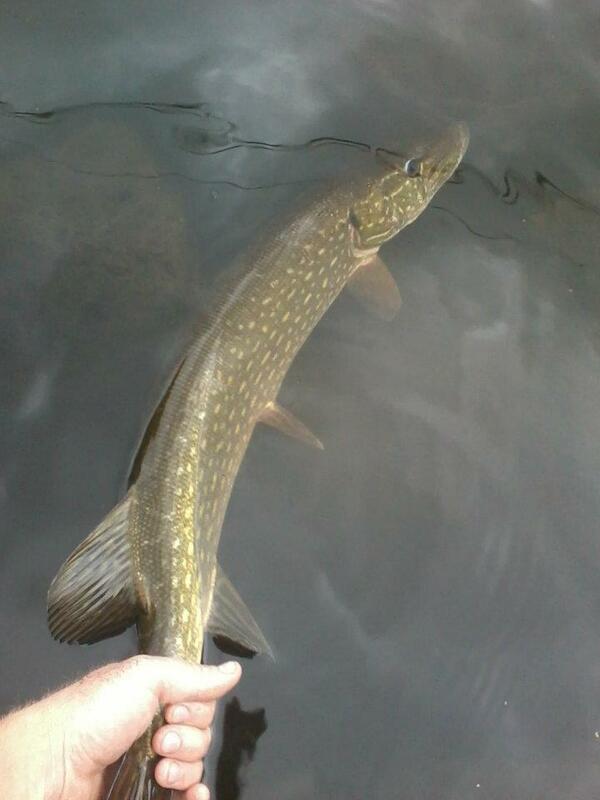 The Northern Pike is one of the largest freshwater game fish feeding continuously throughout the day and year. They can eat fish up to 18" long, ducks and even fully-grown muskrats. Because of their territoriality and heavy feeding, only 2-4 per surface acre should be stocked to control other fish populations. Muskies are closely related to northern pike preferring large lakes with both deep and shallow basins. 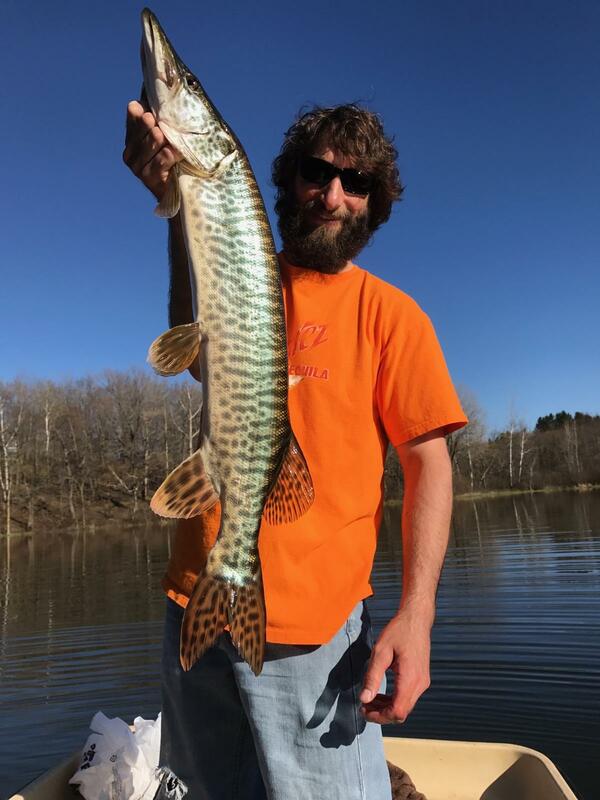 Muskellunge can have a positive effect in waters over populated with perch, crappie, bass, and to a very limited extent on bluegill. Stock 1-2 per surface acre in suitable waters void of northern pike. In order to stock or contain fish in Wisconsin, you must have an approved WI DNR fish stocking permit or a Type 1 WDATCP Fish Farm License (Exits Site). To renew your current Type 1 Fish Farm License click here. Since January 2002, a Fish Health Certificate (FHC) has been required for all fish stocked in Wisconsin, including private ponds. All fish available through ABI have undergone extensive testing to obtain this Health Certificate as required by law. Due to the length of time it takes to get each batch of fish health certified ABI requests all fish stocking orders to be placed 30 days prior to stocking.